The greater Montreal area is one of the world's leading aerospace industry hubs. Québec Aerospace Museum was founded in August 2018 at historic Saint-Hubert Airport to celebrate the rich aerospace heritage of the Montreal area, Québec and Canada. Its vocation is, of course, educational by highlighting the achievements of the industry. But the goal of the museum is also to share the thrill and adventure of flight and inspire younger generations to trigger their interest and passion of aviation and space. 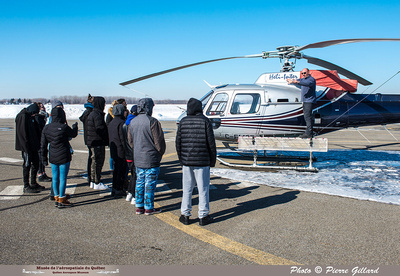 As part of its mission to support to the promote aerospace and support the local community, the Quebec Aerospace Museum recently organized its first helicopter orientation for ten young people from La Maison de Jonathan youth agency in collaboration with Helicraft and Héli-Inter, two local helicopter companies. Read more (PDF 233 Ko). Pictures of the helicopter activity. Websites : La Maison de Jonathan - Helicraft - Héli-Inter. A unique collector's item from the largest aviation event in Canada in the 1930s was recently displayed belonging the open house organized by the École nationale d’aérotechnique (ENA) at Saint-Hubert Airport. Read more (PDF 235 Ko). Pictures of QAM participation at ÉNA open house. 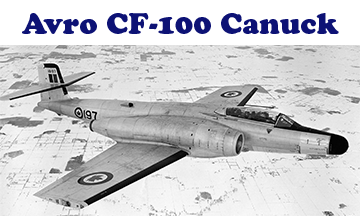 Today, the Avro CF-100 Canuck Mk 5 No. 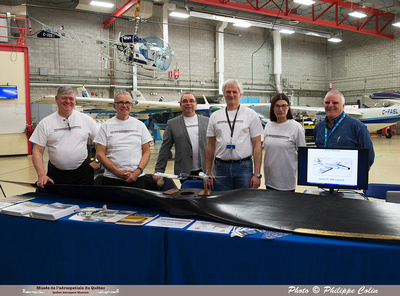 100760 of the Québec Aerospace Museum was presented for the first time to the public at the airport of Saint-Hubert on the occasion of the open day at the École nationale d'aérotechnique, the largest aviation technical school in Canada. Read more (PDF 271 Kb). Pictures of QAM presence at ÉNA open house. 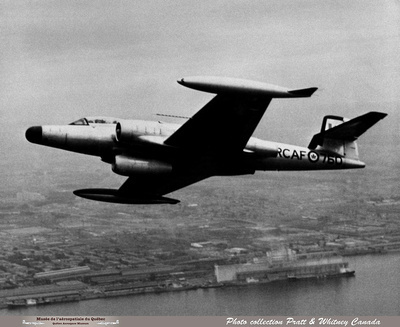 The arrival of the Avro CF-100 Canuck Mk. 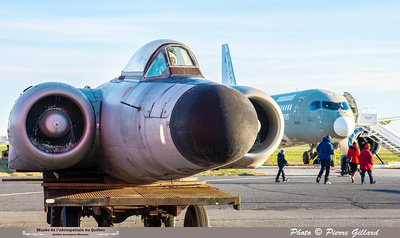 5 fighter jet fuselage bearing the Royal Canadian Air Force identification number 100760 at the Saint-Hubert garrison on this day marks the completion of the transfer of the major components of the historic 60-year-old aircraft by road to Quebec that was began with the arrival of the first parts on Thursday, November 1, 2018. Read more (PDF 242 Kb). 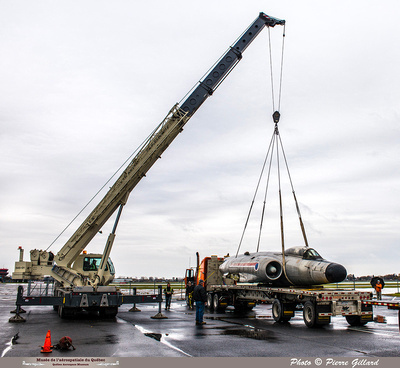 Pictures of CF-100 #100760 transfer. 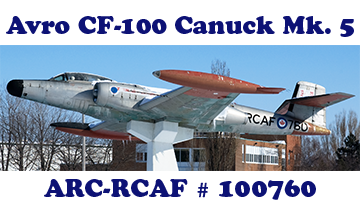 Today, an agreement was signed between the newly-established Québec Aerospace Museum (QAM) of Saint-Hubert, QC, and the Canadian War Museum in Ottawa, ON, regarding the loan of an historic Avro CF-100 Canuck Mk. 5 fighter jet (serial No. 100760) of the Royal Canadian Air Force. Read more (PDF 244 Kb). Pictures of CF-100 #100760 as JT15D turbofan flying testbed. 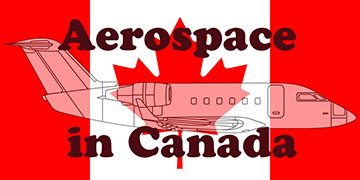 The Quebec Aerospace Museum has established today as a non-profit society at Saint-Hubert Airport with its head office at H-18 FBO hangar at the Montreal area airport. 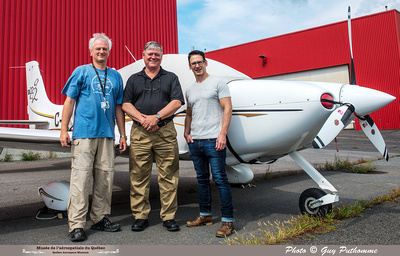 The founders of the Museum - Pierre Gillard, Gilbert McCauley and Éric Tremblay - have accumulated a rich variety of experience in the aviation and aerospace industry as well as the Royal Canadian Air Force over many years. Read more (PDF 229 Kb). Dernière mise à jour/Last update : 22-03-2019. L'usage des logiciels Firefox ou Safari est recommandé/Use of Firefox or Safari browser is recommended.